Revelation 22:12 Behold, I come quickly; and my reward is with me, to give every man according as his work shall be. After communion on December 25, 2016 in the evening, I was shown a ship without power in a very stormy and dark sea, no stars or moon to guide the ship, and I saw several men arguing about the situation. A few began to jump overboard, saying it was a hopeless situation and there could not possibly be any rescue. Two in particular were begging the despondent ones to not lose hope, to wait for help, and know the light would eventually shine again. I saw this vision repeatedly, and then the Lord began to speak to me. Remember the words that I have spoken to you so many times before, that it is always darkest before the dawn. I have prepared you for such a time as this, so do not underestimate or doubt what can and will be done through you, through My remnant church. You are here for this time and for this season for a very specific purpose, and I have also told you that the darkness would grow greater day by day. And although the darkness seems to surround you on all sides, there is still so much to come. You must not lose faith. Do not challenge the Father's design. Do not question something that you have such a limited perception of. My greatest work is done in the midst of terrible darkness. I promise you this, and one day soon you will see that this is My truth. You feel as if you are on ships with no captain, as the waters rage around you and the storm is now here, but remember My promises- I am your Captain. I am your Shepherd. I am your Light. I never said I would remove you from the darkness. I said I would carry you through to the other side. You will see many abandon Me in this dark hour that has come upon the earth. Many will say there is no God, for the faith of everyone will be greatly tested, severely so, and only those who have chosen to know truth will stand. There is a work being done here that you cannot perceive in each and every soul. I will take you through the fires until all that is not of Me is burned away. Greater is He who is in you, than he who is in the world. Know this in your hearts. You will overcome. My light will dispel all the darkness, but it must come through you. It must! There is no other way. How else will they see Me? How else will they know Me? You must testify of My truth. This is why you are here. This is your purpose. You are here for Me to show them that I AM the Way. Many will hate you as they hated Me. There is nothing new here, expect this, but you know in your hearts there is much more to this design than what you see and hear and experience each day. The storms will now intensify greatly. The hour is at hand. As I have prepared you beforehand, you will see much. Pray for those who will curse Me. Pray for those who will deny My Name. Pray for those who will mock and scoff and vilify the only One who was ever sinless. They are already doing this, but the persecution will increase and become very intense, and My Name will not be revered. I have My chosen though, My special ones, who fear their God and will hold fast to the end and great will be their reward. You must not give up hope. You must have courage and stand firm through the most difficult part of this journey, and it will be difficult. But I have this. I have all of this in My hands, and I have already seen you through the outcome. Remember to keep the Kingdom perspective. Only I know the hearts of every man, so please understand that a greater work is being done, but you must persevere. It is as an army that has trained and trained and trained more for a battle they feel will never come. They become weary and discouraged and want to use their techniques and experiences to walk out what they have been trained to do, and that day will come, I assure you. It will come, but you must not grow weary in the process. You are most vulnerable at the time when you become weary and discouraged. Remember, the weapons of your warfare are not carnal. Bind these spirits that would serve to keep you downtrodden and weak in faith. These are not of Me. Yes, I do allow them. I allow them to show you who your strength is. There is nothing you can do within yourself. You have no power, no authority, no strength outside of Me. This is why I allow these things. This will make you a better soldier. I am closer than ever before. Please know this in your hearts. I would not say this if it were not so. I truly am present with you in every moment. You are almost there My loves, almost there! And you have much support in the Kingdom. Many have gone before and pray for you. They also have seen you through. So, continue to hunger and thirst for righteousness and holiness, and stay on My narrow path, and soon, soon I will bring you home. But, let us gather the lost first, for I wish that not one would perish. I love you all. 5 God is in the midst of her; she shall not be moved: God shall help her, and that right early. 16 For which cause we faint not; but though our outward man perish, yet the inward man is renewed day by day. 18 While we look not at the things which are seen, but at the things which are not seen: for the things which are seen are temporal; but the things which are not seen are eternal. 8 For my thoughts are not your thoughts, neither are your ways my ways, saith the Lord. 12 Yea, the darkness hideth not from thee; but the night shineth as the day: the darkness and the light are both alike to thee. 16 And I will bring the blind by a way that they knew not; I will lead them in paths that they have not known: I will make darkness light before them, and crooked things straight. These things will I do unto them, and not forsake them. 28 Bless them that curse you, and pray for them which despitefully use you. 11 For what man knoweth the things of a man, save the spirit of man which is in him? even so the things of God knoweth no man, but the Spirit of God. 6 Blessed are they which do hunger and thirst after righteousness: for they shall be filled. AND THEY OVERCAME HIM BY THE BLOOD OF THE LAMB..
To overcome is to seek to understand what My blood has purchased for you and then apply this to every aspect of your lives. I overcame sin and death and tore the veil so you could have access to My Father and the Kingdom. By immersing yourselves completely in Me and seeking to know My Heart, you become My tabernacle and resting place, My holy vessels through which I pour out My Spirit. You then abide in Me and I in you and together, We overcome. Living a life as an overcomer means you choose Me first and foremost in this life. It means you must pick up your cross daily and walk the narrow path. It means you choose to forsake all else and everything this world has to offer you. I never promised it to be easy, in fact, I have told you the journey would be difficult. I never said you would always be comfortable or that you would keep company with many. I did say that they hated Me before they hated you. I said you must be broken and contrite and humble in heart. You cannot serve God and mammon. You cannot have a foot in both places. Compromise will be the downfall of many. They will say to Me, but Father! We performed miracles and prophesied and cast out demons in your name! But I will answer, get thee behind Me for your lips profess Me but your hearts are far from Me. I know you not. Oh in that day, that very instant when I reveal Myself to each soul, then shall the scales fall from their eyes and My truth shall be revealed. Then they shall know that I came for a spotless body, one who is daily washed clean by My blood and who allowed themselves to be pliable and tested, purified and fashioned into My image. Then they will understand that what is taken in through the eyes and listened to with the ears and is spoken of by their lips, these things bring life and love, or death and destruction. Learn My Word and be holy as I am holy, pure and righteous. This is My remnant. These are those who truly love Me, who desperately yearn for intimacy with Me, as I yearn for them. These are those who keep themselves from the things of this world, from gossip and lust and filth and immorality. How much do you love Me? What are you willing to commit to in order that you are My remnant Bride? Ultimately, what matters most to you? Do you want to be found worthy to escape all these things that are coming upon the earth? Do you want to fulfill your purpose here and hear, 'well done good and faithful servant'? Or, do you want to meet Me face to face and know you chose not to walk in the fullness of all I had for you here in this journey. The choice will be yours, but the hourglass empties. I have given you instruction on how you can overcome. It is up to you to allow Me to put My laws in your minds and write them upon your hearts, so you will be My people and I will be your God. QUICKLY MY LOVES, CHOOSE QUICKLY..
19 What? know ye not that your body is the temple of the Holy Ghost which is in you, which ye have of God, and ye are not your own? 55 O death, where is thy sting? O grave, where is thy victory? 56 The sting of death is sin; and the strength of sin is the law. 57 But thanks be to God, which giveth us the victory through our Lord Jesus Christ. 23 And he said to them all, If any man will come after me, let him deny himself, and take up his cross daily, and follow me. 18 If the world hate you, ye know that it hated me before it hated you. 19 If ye were of the world, the world would love his own: but because ye are not of the world, but I have chosen you out of the world, therefore the world hateth you. 20 Remember the word that I said unto you, The servant is not greater than his lord. If they have persecuted me, they will also persecute you; if they have kept my saying, they will keep yours also. 21 But all these things will they do unto you for my name's sake, because they know not him that sent me. 22 If I had not come and spoken unto them, they had not had sin: but now they have no cloak for their sin. 23 He that hateth me hateth my Father also. 24 If I had not done among them the works which none other man did, they had not had sin: but now have they both seen and hated both me and my Father. 25 But this cometh to pass, that the word might be fulfilled that is written in their law, They hated me without a cause. 24 No man can serve two masters: for either he will hate the one, and love the other; or else he will hold to the one, and despise the other. Ye cannot serve God and mammon. 8 This people draweth nigh unto me with their mouth, and honoureth me with their lips; but their heart is far from me. 18 The Lord is nigh unto them that are of a broken heart; and saveth such as be of a contrite spirit. 6 This is he that came by water and blood, even Jesus Christ; not by water only, but by water and blood. And it is the Spirit that beareth witness, because the Spirit is truth. 18 But those things which proceed out of the mouth come forth from the heart; and they defile the man. 21 Death and life are in the power of the tongue: and they that love it shall eat the fruit thereof. 22 The light of the body is the eye: if therefore thine eye be single, thy whole body shall be full of light. 23 But if thine eye be evil, thy whole body shall be full of darkness. If therefore the light that is in thee be darkness, how great is that darkness! 25 Let thine eyes look right on, and let thine eyelids look straight before thee. 26 Ponder the path of thy feet, and let all thy ways be established. 27 Turn not to the right hand nor to the left: remove thy foot from evil. 24 And he said unto them, Take heed what ye hear: with what measure ye mete, it shall be measured to you: and unto you that hear shall more be given. 16 Because it is written, Be ye holy; for I am holy. 16 This is the covenant that I will make with them after those days, saith the Lord, I will put my laws into their hearts, and in their minds will I write them. 9 Much more then, being now justified by his blood, we shall be saved from wrath through him. There is so much I wish to reveal to you My Beloved. Your experiences here in this realm, the set of circumstances which surround you at any given time are all by My design. You were known from before time was. Your journey here is meant to be the expression of who I am in you. I mold you and shape you as you move through the fiery trials and tribulations of this world, each step, surrendering all to Me, in trust and in obedience. This is how I refine you, as gold is tested by fire. This life is about your awakening. It is about receiving the revelation of who you are in Me and I in you, and walking in this, your full potential. I have the culmination of all your life experiences in My hands. I know the outcome no matter what path you choose at any given time. I can and will use every detail of your life for My glory as this is why I have created you, for My good pleasure. You live in a time like no other. It is the darkest of times, but it will also be the most glorious of times, as the remnant church, My Body, is awakening to her full potential. The mysteries and secrets of My Kingdom are being revealed like never before, and that which was previously hidden and veiled is being understood. I have purposed it to be so for this generation. The midnight hour is come and you have a responsibility to know and understand the times you are in. I have poured out My Spirit as never before, and you have My Holy Word to counsel and guide you. It is for you to rise higher and shine brighter with My glory as the world plunges deeper into chaos. My people perish for lack of knowledge, so do not be as one who does not seek to understand your position and the importance of walking in righteousness. I have warned of great deception and My people, it is here. You will not be able to stand on any other foundation except for Me to ensure your survival. I do not speak of your physical safety as much as I speak of your eternal resting place. Without My truth and My laws written on your hearts, you will be swept away by this deception and perish. Take these My words very seriously children, as the powers of darkness have a very sinister plan. They have gone to great depths to ensure this plan comes to fruition, and many, many of My lukewarm ones will fall away and be lost. I have called upon you, yes you, and all who have ears to hear what My Spirit is saying in this late hour, to listen to My wise counsel and warn the others. To whom much is given, much is required. It is becoming increasingly more difficult to distinguish truth from lies, light from dark, good from evil, but I tell you there is ONE WAY, ONE ANSWER. 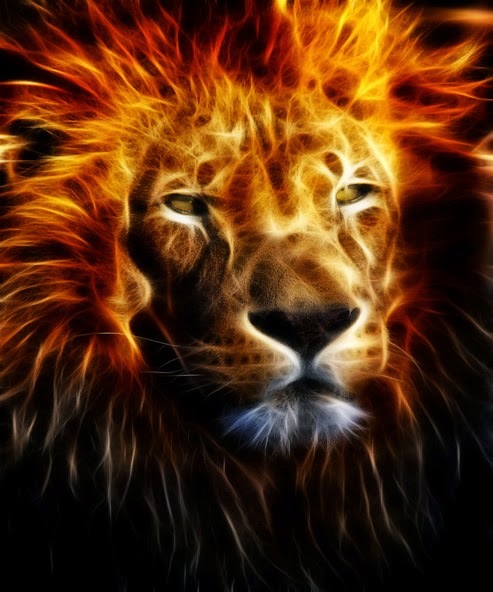 MY NAME IS YAHUSHUA - MESSIAH AND REDEEMER. I have every answer and I hold all the keys. I am the Way, the Truth and the Life. No one comes to the Father or enters My Kingdom, except through Me. I am the Ladder and I am the Door. I am the Shepherd, and My sheep know My voice and they follow Me. FOLLOW ME..and only Me. Do not listen to the voice of another. There is so much evil planned against you, as the enemy has manipulated all creation. There are plans to recreate life, to alter My design, many of which are already being implemented. Satan has always wished to be God and Creator. Do you remember when I spoke to you about your DNA? It is My blueprint or code that is your DNA and makes you to be fashioned in My image, originally before the fall, a pure and untainted bloodline. By devising ways to manipulate this DNA, the enemy is in the process of creating his own kingdom with his own race of beings. Some have and will give allegiance freely, but many others he will coerce into this allegiance by manipulation and deception. Does My Word not tell you, as in the days of Noah, so shall also the coming of the Son of Man be? To know the beginning is to know the end. There is nothing new under the sun. Study what has occurred when the Fallen angels came unto the daughters of men, and you will understand what is unfolding before your very eyes. This beast system is spoken about in My Word in the end as iron mixing with clay-- that which is My creation with that which is not. I have much wisdom to share with those who seek this from Me. Ask of Me and it shall be given unto you. It is imperative that you understand what happened then, so you know that this battle is spiritual and there is only one answer to overcoming and being saved. Any alteration to your DNA, to the very essence of who you are within your blood is an abomination to Me and is the mixing of satan's seed with My Holy creation. Man is taking it upon himself under the direction of your adversary to alter man's very existence, to add to or take away that which I alone have created. Woe to those who tamper with My creation as I alone am Creator. There is no God beside Me! These horrors are being done and will be done to a greater degree in the very near future and are being called advancement and breakthrough technology. Understand what I am saying to you. This has begun the mark of the beast that My Word speaks about. This system has been created to keep you from aging, to heal you, to remove 'imperfections,' to track you medically, to birth children without defects, and this is a disguise for the real motive behind this technology. It's very purpose is for control and manipulation, an extremely wicked means to cause you to accept this advancement readily, only to be used against you in the most vile and horrific way. This 'science' once taken into the body, this mark whether it be in the hand or in the forehead, whether it be a chip or a code, whatever way it is now and will be presented to you, will forever change you and destroy the covenant that I have created with My created people. You will lose your eternal soul if you accept this 'mark', this technology within your bodies. Sooner than most people believe, you will all be faced with the most extreme and difficult decisions of your entire lives. For many, your physical survival will depend on these choices. You will soon be told you cannot work, receive medical care, buy or sell without this new technology. But as I have told you, worry not for these your physical bodies, for it is your soul for eternity and its place of dwelling that should concern you most. The beast system arises and your freedoms will be taken from you. You must trust and believe in Me, that I alone am your Source and the solid Rock foundation on which you can stand. Pray fervently for the increased measure of faith that is promised you. You must not give allegiance in any way to this anti-messiah system. Know in your heart where you stand now, as when that moment arrives and the sudden-lies are here, it will be too late to think about it. Many empty promises will be made following the chaos, as I have already told you the judgments are upon you. The desperation and suffering experienced will cause many to turn to anyone or anything for instant physical relief. When they are not grounded in truth, they will, in their weakness, choose so very poorly. Again I repeat to you, My people perish for lack of knowledge! yes, your pastors and all those in leadership who are still sleeping! In that day when each one of you will meet Me face to face, there will be no excuses as I have always provided a way. Each one will answer to all that was presented in this life. For those who are My faithful ones, My reward is with Me, and you will abide in the Temple of My God. If you could see what I have waiting for all those who love Me. As My Spirit pours forth into you, My faithful ones, such glory is being released on the earth. You are tethering Heaven to Earth and just remember, light has overcome darkness, the darkness will only be for a short time, because the victory has already been won! Speak of these words to all you know. It may mean life or death for them.. eternal life or eternal death..
11 Thou art worthy, O Lord, to receive glory and honour and power: for thou hast created all things, and for thy pleasure they are and were created. 29 He that hath an ear, let him hear what the Spirit saith unto the churches. 37 But as the days of Noah were, so shall also the coming of the Son of man be. 2 That the sons of God saw the daughters of men that they were fair; and they took them wives of all which they chose. 5 And God saw that the wickedness of man was great in the earth, and that every imagination of the thoughts of his heart was only evil continually. 6 And it repented the Lord that he had made man on the earth, and it grieved him at his heart. 7 And the Lord said, I will destroy man whom I have created from the face of the earth; both man, and beast, and the creeping thing, and the fowls of the air; for it repenteth me that I have made them. 3 For I say, through the grace given unto me, to every man that is among you, not to think of himself more highly than he ought to think; but to think soberly, according as God hath dealt to every man the measure of faith. 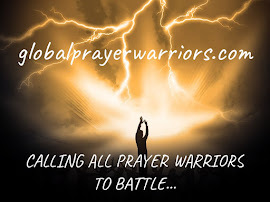 New Global Prayer Site Launched! I am a born-again disciple of Yahushua (Jesus), and have been washed in His precious blood. I have been instructed to warn those who have ears to hear to repent- He is coming soon! My sole priority is advancing His Kingdom here until He comes for His Bride. I have had dreams and visions for over 20 years about biblical prophecy and its fulfillment, especially concerning the US. All of the words He gives me are found in His Holy Word. Our family is requesting that you prayerfully consider assisting us as the Holy Spirit leads you. We also request your prayers for all we have been called to do. May our Father Yahweh greatly bless you and your family. My position as a watchman is to record what I hear from the Lord. Please prayerfully discern any words of prophecy you feel led to read or watch, as there are many false prophets amongst us. You may copy these messages as long as the content is never altered in any way, the coordinating scripture is always included, and the link to this site. Thank you. Please prayerfully consider supporting this ministry, if you have been blessed by Father's words, messages, and videos. Checks and money orders are most preferred whenever possible, in place of paypal donations. Thank you so very much and Yahuah bless you all! Thank you! Checks and money orders are preferred, and Paypal is also an option. God bless!